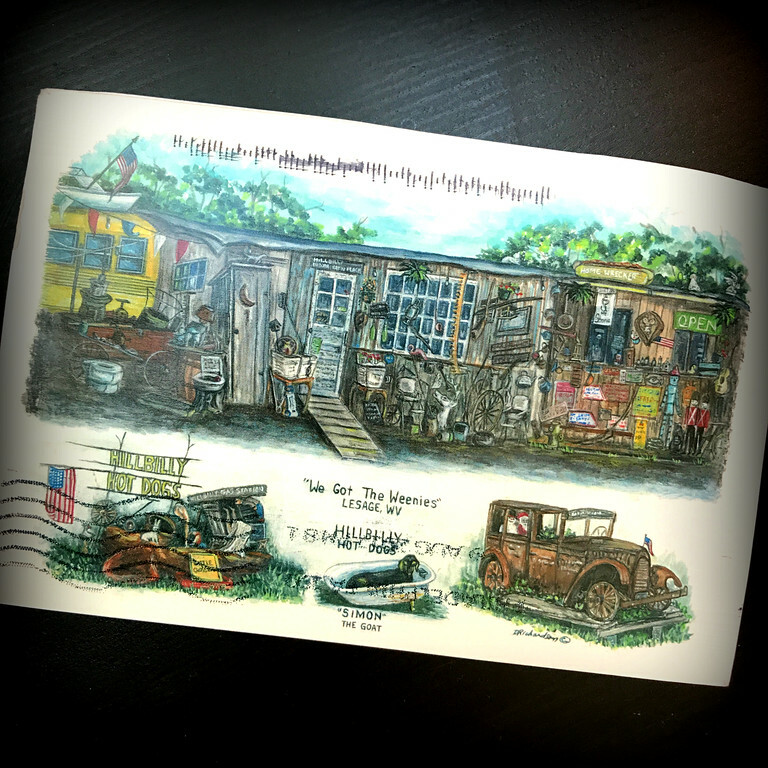 Recently, I wrote about my friend Chris and how he sends me postcards from the places he visits on his motorcycle. Last week I received a card from Hillybilly Hot Dogs in Lesage, WV. The card looks like a folksy representation of a roadside shack you might see being reclaimed by the land in the mountains somewhere. But… it’s a restaurant. And, I think I must go. My daughter and I looked at their menu on their website when the postcard came. Apparently, they serve up 2 and 3-foot hot dogs as well as something called The Homewrecker. I’ll have to take a pass on that, but I’d like to see someone else take one of those down. Hoooo lawdy – the aftermath must be misery. It has probably more than earned its name. A few years ago, I became aware of HHD when it was a bonus location during the Void Rally. It was a stop I’d chosen but ultimately dropped because my schedule was too tight. In a few weeks, I’ll be hitting the road for a little ramble and I think I’ll have to rectify missing it. As I think about it, I believe I must’ve passed HHD riding along Route 2 toward Point Pleasant in 2009. We were on our way from Kentucky back to New York. I can’t recall if we passed through Point Pleasant on purpose or if it just happened to be on the way. 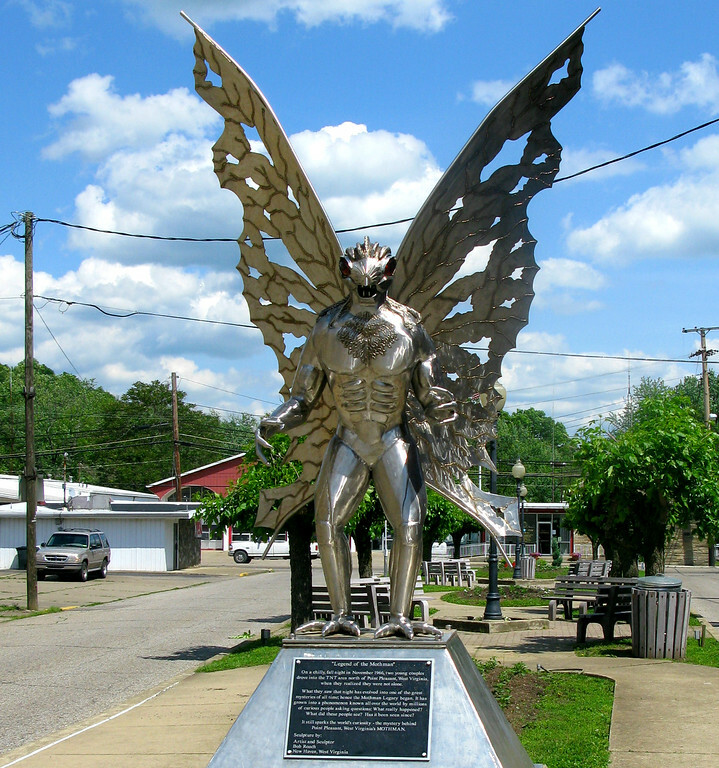 All I know is I saw the Mothman. And now, I need to see myself a West Virginian hot dog. Mona and I passed it on our first Mason Dixon rally and have wanted to get back “off the clock” ever since. I managed to fit it into our vacation plans for early October on our route home. FJR Forum friend of ours ate a Homewrecker. Of course he also did one of the 2 lb. challenge burgers at Denny’s Beer Barrel Pub in Clearfield, PA . The pictures of both events are not pretty. What was your daughter’s reaction to the menu? Similar to your reaction to the competitive eating? They did a whole segment on this place on Diners Drive Ins and dives. We’ve talked about taking a ride up there. Oh, you’re kidding! I have to look that up.